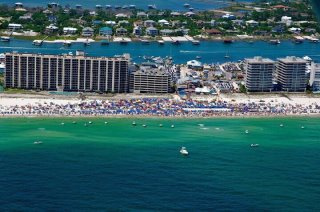 Gulf Shores is the locale for many events – concerts, a seafood festival, and fun for kids. 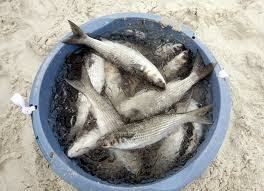 Without a doubt, the most unusual and one of the most popular is the annual Mullet Toss at the Flora-Bama. The Flora-Bama Bar and Package Store is an iconic landmark on the Florida-Alabama state lines at Perdido Key, FL. The Flora-Bama has been the destination of beach partiers since the 1960s. It was badly damaged in 1978 during Hurricane Frederick but was rebuilt and has expanded.